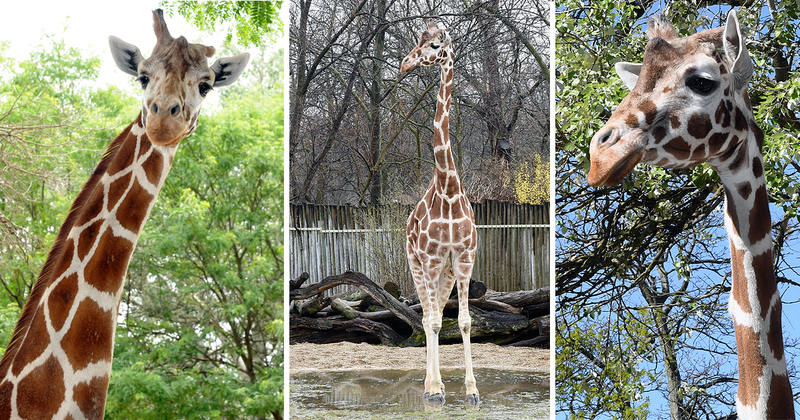 Brookfield Zoo is sad to have to announce the loss of our matriarchal giraffe, Mithra. At 27, she was one of the oldest giraffes in a North American accredited zoo and surpassed the median life expectancy for the species in professional care. At an elderly age, Mithra was affected by degenerative changes in her joints and physical condition encountered by all species as they get older. Over the past year, veterinary and animal care staff closely monitored Mithra’s condition. With dedicated care during this time, she had remained comfortable and was able to still be with the other giraffes. Recently, however, Mithra’s physical condition had declined, prompting staff to reach the difficult decision that euthanasia was the most appropriate option for her well-being. Mithra had been at Brookfield Zoo for the past 25 years, arriving in September 1992. Guests first saw her in the zoo’s former Giraffe House before she and the rest of the herd moved to their current home at Habitat Africa! The Savannah! in 1993. The following year, she gave birth to a male offspring, who went on to sire several of his own calves, continuing her legacy and genetic line with a grandson, two granddaughters, and four great-grandsons.